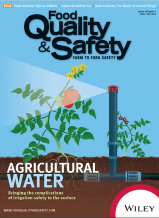 I am grateful to Food Quality & Safety magazine for the opportunity to share my professional viewpoints and personal experiences on the subject of food defense and its critical importance to overall product security. 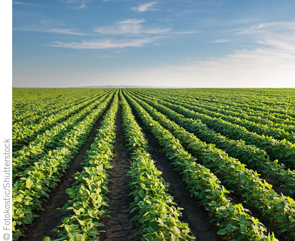 As a new column, I hope Food Defense will provide subject matter knowledge, insight, and thought-provoking conversation regarding experiences, challenges, and opportunities that confront us in managing food defense responsibilities. In December 2018, after a long State food fraud investigation, the New York Attorney General reported the “common practice” of seafood fraud as verified by “rampant” high levels of species mislabeling found in genomically-tested seafood samples taken from New York State supermarket chains. These examples are what new FDA Food Safety Modernization Act (FSMA) intentional adulteration regulations, soon to be implemented, address. Regardless of the perpetrator’s motive (e.g., terrorism, sabotage, extortion, counterfeiting, theft, or economically motivated adulteration), intentional or unintentional food tampering can cause serious harm to humans and animals. The arrival of FDA “Mitigation Strategies to Protect Food Against Intentional Adulteration” (or as it’s perhaps better known, “Intentional Adulteration (IA) Rule”), originally published as a Final Rule in the Federal Register on May 27, 2016 (81 FR 34166), will soon usher in new regulatory requirements for large food businesses that must follow this rule. This requires certain businesses that manufacture, process/pack, or hold food must not only be already registered with FDA as a Food Facility, but now must meet provisions of Section 415 of the FD&CA, conduct a formal Vulnerability Assessment, and develop and implement a Food Defense Plan. One of seven FSMA rules, the implementation of the IA Rule has not come too soon. An upcoming implementation and compliance date of July 26, 2019, is nearly upon us. If you must comply and haven’t already addressed required facility tasks that underpin the rule, the time to act is now! Acts of intentional adulteration may take several forms: acts intended to cause wide-scale public health harm, such as acts of terrorism focused on safety of the food supply, and acts of disgruntled employees, consumers, or competitors and their economically motivated adulteration for financial gain. Acts intended to cause wide-scale public health harm are associated with intent to cause significant human morbidity and mortality. Other forms of adulteration are typically not intended to cause wide-scale public health harm, although public harm results from unintended adulteration consequences that are unknown to the perpetrator prior to an attack. Attacks intended to cause public health harm to both humans and animals are appropriately ranked as the highest risk.